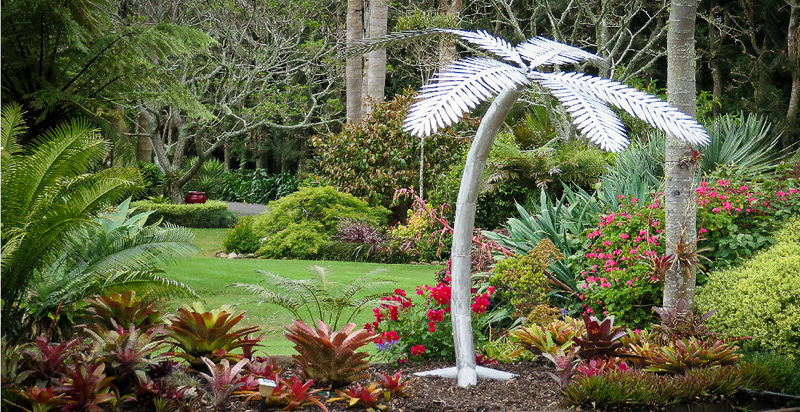 Trish's large sculptures have been exhibited all over New Zealand and are found in public and private collections and many beautiful private gardens. 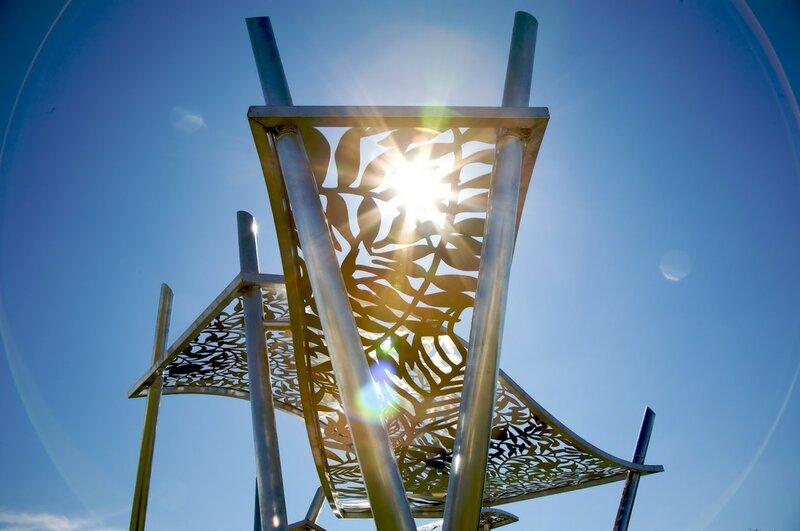 Much of the engineering behind them is quite technical and finely balanced to endure the rigors of public exhibitions as well as the harsh NZ environment. Also these works must be have a durable and long-lasting life. 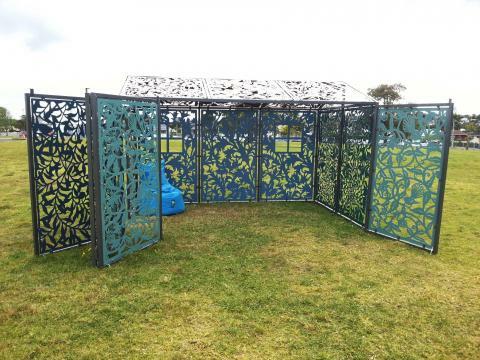 Trish works closely with a Whangarei based engineer and craftsman Glen Crawford from Croule Custom Engineering to meet the exacting requirements for larger works. 2016 Memorial Commission, based on Chris Carey's Sail Sculptures Whangarei City entrance, with permission.